You thought they'd stop at a Mega Drive Megatron? Ha! Oh, no. 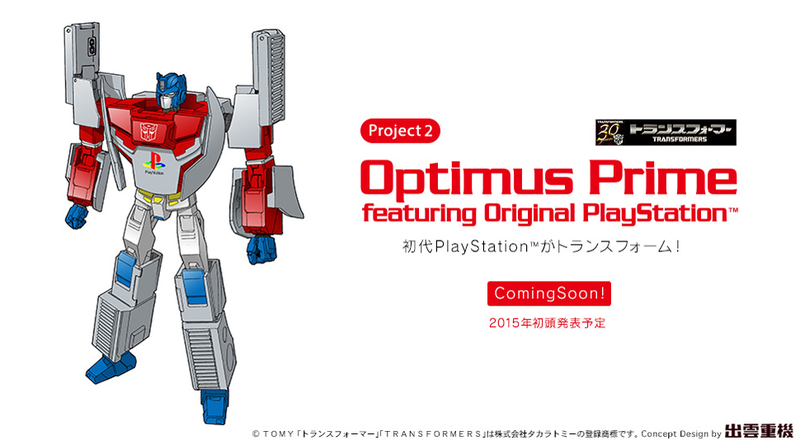 There's an Optimus Prime PlayStation Transformer in the works, too. Currently, there is only an artist rendering, but this 19cm Optimus Prime will transform into the first generation PlayStation. It is slated to be announced in early 2015, so it will be a while until there are more details. The Megatron Mega Drive, however, will be out this September. It was revealed this past February in Japan, so perhaps, expect the same rollout and fall launch for the PlayStation Optimus Prime.